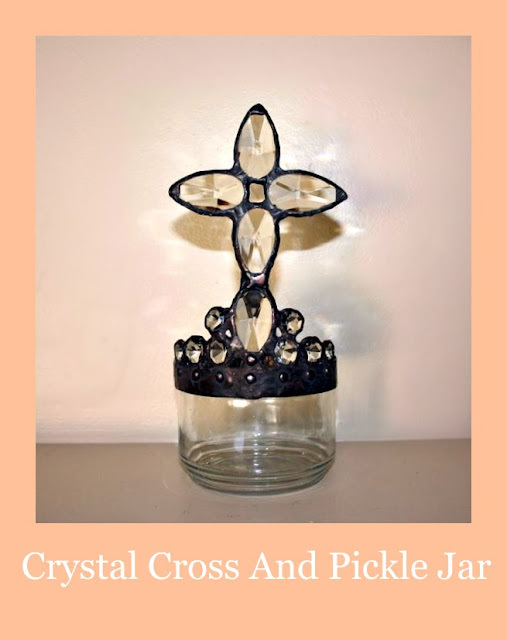 Dimples & Dragonflies Studio & Gallery LLC: "Crystal Cross And Another Pickle Jar"
"Crystal Cross And Another Pickle Jar"
This Is My Third And Final Pickle Jar Design For Awhile. Heading To My Easel Today To Begin A New Composition. Trying To Keep My Feet Moving Friends. Terri, it's just so wonderful to see you creating stuff again. Way to go, girl!! As usual your style is gorgeous! !